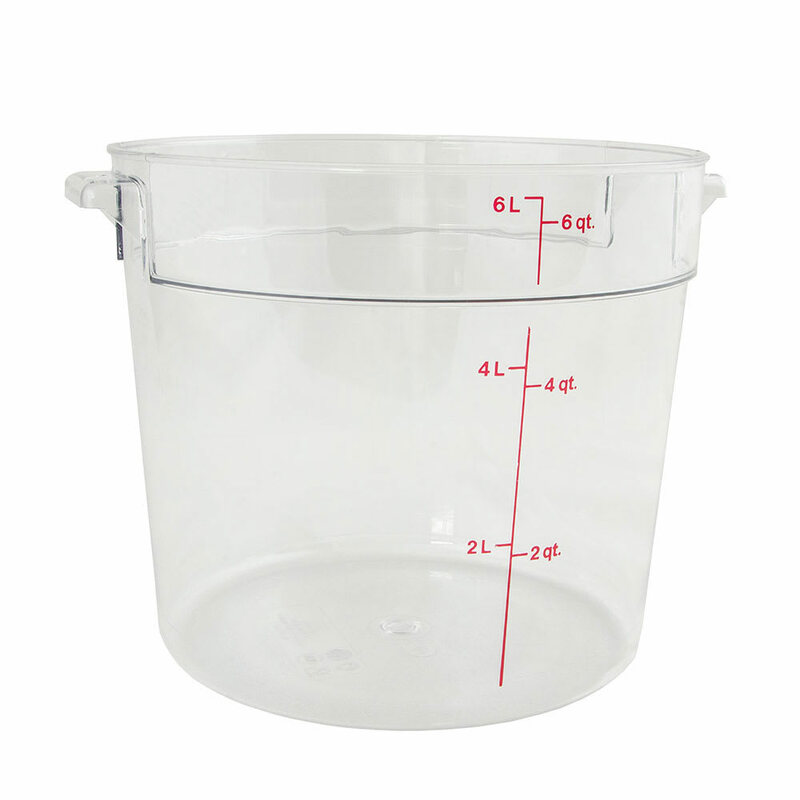 The Cambro RFSCW6135 Camwear® food storage container has a 6-quart capacity and is made of polycarbonate to resist stains, odors, and breaks. Its clear material lets the user see the contents, and the measurement markings on the side make inventory checks simple. It is safe in temperatures from -40 to 210 degrees Fahrenheit. The handles create a sturdy grip for transport and have holes for fast, sanitary drying. This container can be stacked to maximize space. 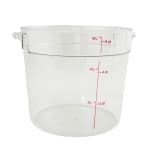 Check out our food storage container explainer article to find out if this container is right for you. "I bought this to start making artisan breads. I like that it's clear and has markings for different amounts. Delivery was great."